Midnight Rainbow Companion mask is from Gypsy Renaissance's Celestial Visions mask collection. Midnight Rainbow Companion is black with colored rhinestones. 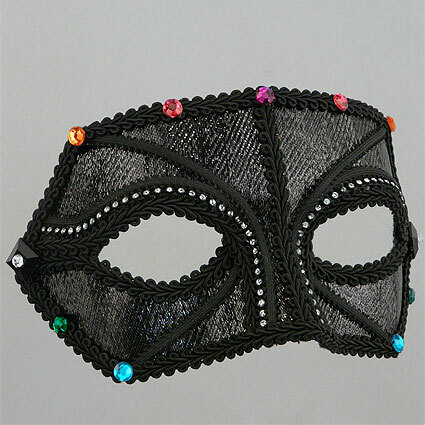 Midnight Rainbow Companion mask is covered with black lamé and trimmed with black braiding and crystal rhinestone banding. Mask is finished with colored rhinestones.